The regular, if not damning issue with Mastodon has been their vocals. Muddled, atonal, and lacking in personality, it has been the one facet of the band that has kept them from wider commercial acceptance. Nay, make that greater metal acceptance. The fact Mastodon can write such progressively kinetic songs in their own style has made their career what it is – a success, but their lack of vocal “persuasion” leaves many feeling cold, not to leave out their flagrant stage loitering. A Mastodon bash session this is not, yet it’s applicable to the band in question, London’s Latitudes. The quintet was formed in 2006 and have cranked out an EP and two full-lengths prior to Old Sunlights, which is also their first for French stronghold Debemur Morti Productions. 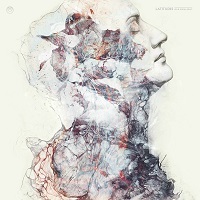 Blatantly and obviously influenced by the above-mentioned Georgia metallers, Latitudes oftentimes eschew vocals altogether across an album that has its fair share of busy, multi-faceted numbers. The constant tom-roll drumming of Mike Davies in particular puts most of these songs in first gear. He’s the anchor across “Body Within a Body” and “In Rushes Blood,” two numbers that heighten the band’s melodic sprawl. Yet those broad-scooped and scooped chords ring awfully familiar at times – you know who the band is looking toward for ideas. And it pops up on more than one occasion (see: “Gyre,” “Altarpieces” and “Quandary”), so ‘yer best bet is hedge upon Latitudes being the less-vocal dominated incarnation of Mastodon, or even a slowed-down version of New York black metal weirdos Krallice. 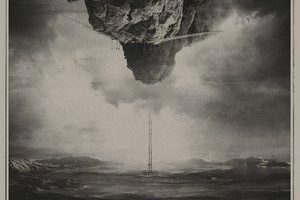 Compositional adventures, even cinematic at various points, Old Sunlight is both a challenge and the occasional reminder of where the progressive metal sound has gone. In truth, it has no real home or landing spot; Latitudes may beg off on some conversant avenues, yet Old Sunlight should be welcomed with open arms.